These two brochures are not the high design that exists in other examples from this period but are good representatives of the better work done. There was much that I would put in the “awful” category. My own categorizing is that there are “excellent” or amazing examples that represent the best design of the period (my own taste is bauhaus, viagra health modern or art-deco themes). Then there is a “good” category of which these two are examples, ask followed by an “awful” category. One of the downsides of my collection is that many I had to buy many of the items in it as lots. These lots contained both the “good” and the “awful” which is the basis for my rating system. The first was issued by the “Hotel Esplanade am Dammtorbanhof.” The image is of a piece of luggage covered in the luggage labels of the time and featuring that of the Hotel Esplanade in sharp focus. It is nice to look at but it also represents a world lost to us. Lost to us by war, by progress, by economic, technological and stylistic change. This feeling of a “lost past” is one of the main points of attraction in collecting these items. The second brochure was published by the Fremdenverkehrsverein or Tourist Bureau of Hamburg and focuses on Hamburg’s famous harbor with a passenger steamship in the foreground and cargo and ship construction cranes in the background. Steamships figure prominently in the travel advertising of the time. They were symbols of modernity, connection to the world and most of all adventure to a world that traveled far less then we do today. 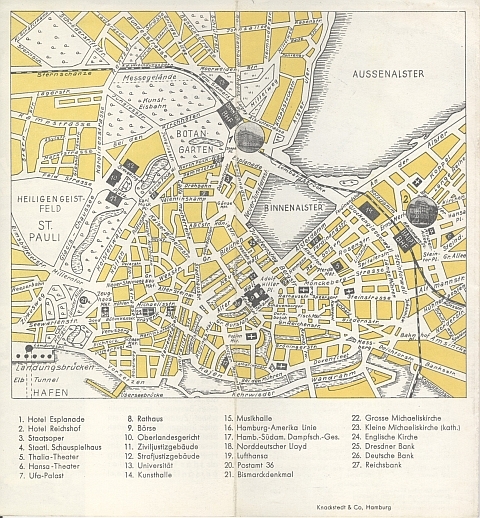 The back of the first brochure is a map of the inner city of Hamburg showing the location of the Hotel in relation to the downtown district. Much of this area was destroyed during massive bombing rates in 1943. 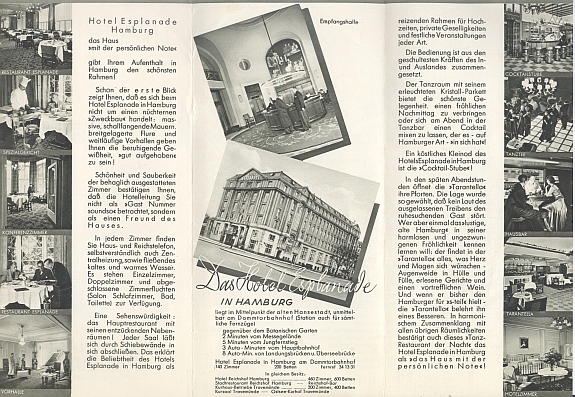 The inside of the brochure shows photos of the hotel. 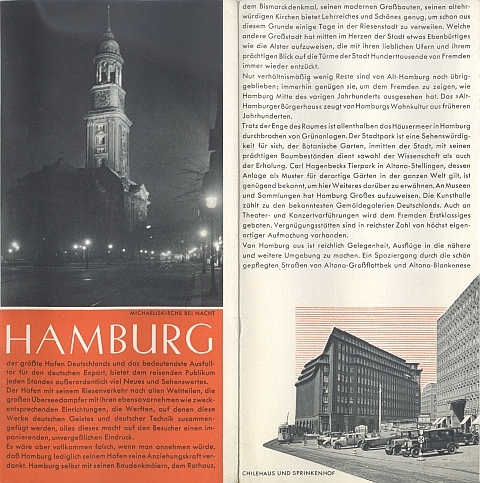 The back of the second brochure shows us a photo of Hamburg by night. This type of view is also present in many travel brochures of the era. 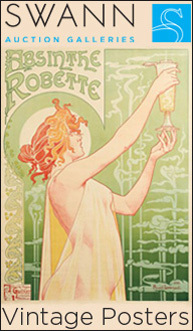 In this case, night lighting, then just coming into its own and only 40 or 50 years old, showcases the modern as well as the sense of excitement of night-time entertainment. An inside view below shows St. Michaelis Church by night on the left and the modern Chilehaus (and this) on the right. The Chiliehouse was and remains a masterpiece of angular brickwork or what Wikipedia calls “brick expressionism.” It features in many views of Hamburg from the time and was used on the cover of at least one travel brochure issued by the German Government’s Tourist Bureau.